India vs Pakistan can girls take revenge on 2nd July? Television sets were trashed on the streets all over the Indian cities as the defending champions could not defend their title against their enemies. Enemies is an immoral world in sports but still I would use it cause Pakistan is no less than an enemy for Indians. It was very disappointing and heart breaking moment for Indian fans. It was very unexpected to get defeated by the hands of arch rivals and that too in a very humiliating manner. But now with ICC's another event India has another chance to heal their wounds. In the group stage matches a match between India and Pakistan team has been scheduled. 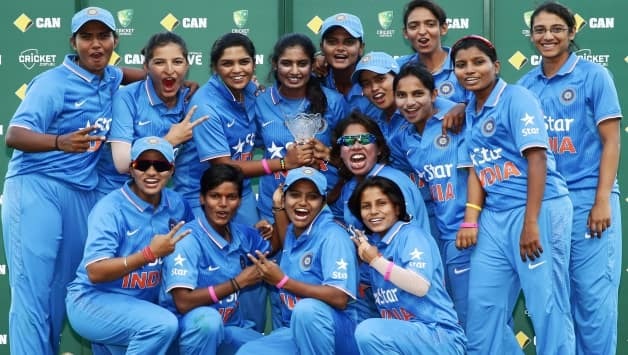 ICC Women's World Cup has given a chance to take revenge and who knows India might clash against Pakistan again in the finals,but for now India has to win this game on 2nd July. Indian team is much more stronger and stable than Pakistan but Mitali won't take them lightly. India has already registered a victory against the host team.